Will Puerto Rico be privatized? When the Financial Control Board (FCB) hits Puerto Rico in a few weeks, it will immediately move to “privatize” major pieces of Puerto Rico. This will include the electrical grid (PREPA), the water supply (PRASA), several beaches and highways, and the public school system. The governor and legislature of Puerto Rico will be powerless to stop it. WHO BROUGHT THE P3s TO PUERTO RICO? P3s are Public-Private Partnerships. During his one term as governor (2009-2013), Luis Fortuño opened up the island to P3s. 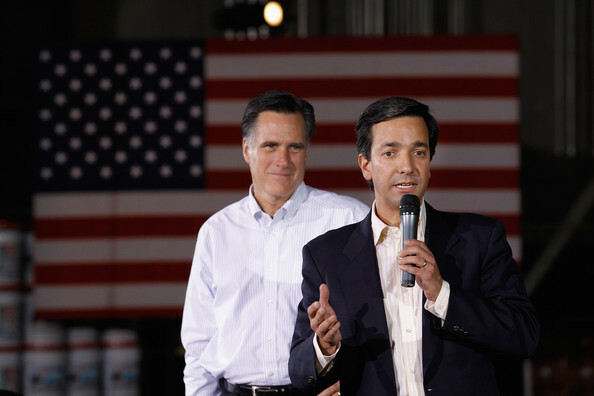 Within five months of taking office, Fortuño passed Public Act 29 in June 2009. This was the “public-private partnership” law which created the Public-Private Partnership Authority of Puerto Rico. Fortuño then created P3s for two highways (PR-5, PR-22); a P3 for the Luis Muñoz Marín Airport; several P3s for a number of schools, energy projects, ferry services, and a P3 renewal of terms for the Teodoro Moscoso Bridge. An audit of many P3s created during the administration of ex-Governor Luis Fortuño, showed no evidence of a bidding or selection process. In other words, all the projects were simply handed to people or organizations, that were connected to the ex-governor himself. PR Highway 22 was given to the Goldman Sachs investment Bank. “Escuelas Para el Siglo 21” received $756 million with no public bidding. The Luís Muñoz Marín Airport went to a syndicate headed by GAS, a Mexican firm associated with Carlos Slim. For five years, Carlos Slim and the LMM Airport did not pay its electrical bill to PREPA, until it rose to nearly $30 million. This investigation is part of a larger and ongoing question, regarding who received $9 billion (nine billion dollars) in “private no-bid contracts” during the Fortuño administration. As a partner in the Washington, D.C. law firm of Steptoe & Johnson, Fortuño is now a “P3 Consultant” for companies looking to privatize in Puerto Rico. Pedro Pierluisi’s family net worth has increased 2,700% since he became Resident Commissioner in 2008. This comes mostly through his wife, María Elena Carrión. Within two weeks of Pierluisi taking office, his wife Maria quickly set up a “financial advisory firm” named Multicultural Capital. The principal clients of this “advisory firm” are the hedge funds and P3s (public-private partnerships) that will be doing business with the Financial Control Board. The fees they’ve paid to this firm, are already in the millions. Three weeks ago, on June 24, Gov. Garcia Padilla got into the privatization game. He had Rep. Angel Matos Garcia (PPD – Carolina) submit a bill on the last day of session (June 24) which would have created a “Fideicomiso” with the authority to grant private franchises and concessions in all the public beaches of Puerto Rico. In effect, this would have made the public beaches eligible for “privatization,” all over the island. The PPD rammed it through the Camara de Representantes, with an astonishing majority vote of 44-1. The public outcry was so immediate and overwhelming, that the bill was not introduced into the Senate the following day. But Garcia Padilla and the PPD had already accomplished their objective: they opened the door for the FCB to pursue “beach privatization,” now that Puerto Rico’s own elected officials have put them in play…by a vote of 44-1. In addition, Garcia Padilla indicated that he may call an “extraordinary legislative session” over the next few weeks, which could take up “unfinished business.” This business could include the beaches of Puerto Rico. Gov. Garcia-Padilla set up his own brother, Antonio Garcia-Padilla, in a “non-profit” called Sociedad Económica de Amigos del País. This “non-profit” creates “strategic partnerships” in Puerto Rico for US billionaire Nicholas Prouty, USB Bank, Salomon Brothers, and various other hedge funds. Just like Luis Fortuño and Pedro Pierluisi’s wife, Antonio Garcia-Padilla advises them on how to set up tax-free corporations, to make money off Puerto Rico. In fact, both Prouty and Goldman Sachs are on the “non-profit” Board of Directors, and paying the “non-profit’s” rent. The FBI even expressed a concern over “ISIS terrorists” in Puerto Rico. But the only “suspicious activity” has been the attempted theft of Puerto Rico’s beaches…and the jockeying for position amongst Puerto Rico’s political class, to enter into “strategic partnerships” with hedge funds and US billionaires. The only “terrorism” in sight, is the potential fumigation of the entire island with NALED. These days, it seems that you can rob Puerto Rico with a briefcase, strangle it with a political party, condemn it with a press conference, and kill it with a PROMESA. Financial control board & corrupt Puerto Rican politicians are whoring off Puerto Rico. Now if that isn’t a colony, then what is? What is the price their selling their MOTHERS for?????? JUST CURIOUs……….? This is the most disgusting, disturbing act that can happen to Puerto Rico, I was born in Puerto Rico, raised in Nyc but I visit Puerto Rico every year. 90% of my family still lives there including my main person which is my mother. What can be done to stop this from happening? Although I live in New York, I love my Island and it devastates me and worries me . The crime is only going to get worst ,if there is any such thing as it is terrible now. I am very concerned for my family and the Puerto Rican people that do not have financial security. It is so sad. The way to “modern slavery” starts with privatization! Get ready, PR … very bumpy rides ahead!! If you need to see what nepotism, corruption, dishonesty and immorality look like…here are their faces…Gidget and Gonzo Boreekwa-style…de vera’ que los payasos siguen buscando su circo…dio’ mio que bochorno. I think it is time to shred my “Puerto Rican” card…this political nonsense has reached epidemic proportions and nothing short of a catastrophic tsunami washing the island clean of all “civilization” is going to fix this century-old dysfunction. (Bartolome Medina-Butler-Zamot-Soler-O’Ferran-Bayonet-Uffizi-Ribeira)…he is turning in his grave watching this filth!